Sundays are days of rest, enjoyment and last ounces of laziness before the next week begins! What better way than to spend the evening, reveling in the smell of warm, freshly baked goodness? Here’s a peek into our kitchen.What’s cooking? You ask. Bebinca! Making Bebinca requires patience – a layer can only be added when the one below it is cooked – but the end result is well worth the effort. 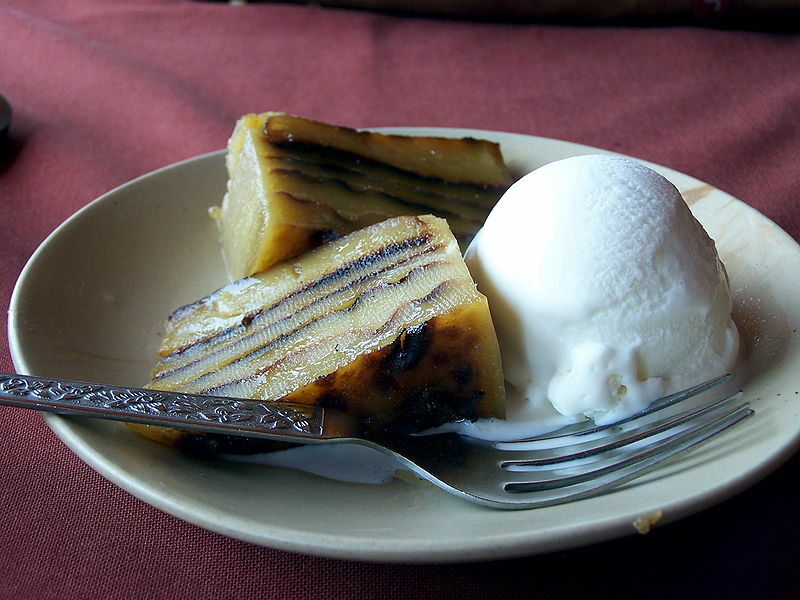 Fun Food Fact :Traditional Bebinca has 16 layers, but you can make as many as you like. Mix the coconut milk and sugar together and stir till the sugar is completely dissolved. In another bowl, whisk the egg yolks till creamy.Add the coconut milk and mix well. Add all the flour to this, a little at a time, making sure that no lumps are left. Pre-heat your grill.Put a tablespoonful of ghee in a baking pan (any shape) at least 6″ deep. Put this pan under the grill till the ghee melts.Take it out from under the grill and pour some of the prepared batter into it to form a 1/4″ thick layer. Put back under the grill and cook till the top is golden. Monitor frequently.Remove from under the grill and immediately add another tablespoonful of ghee on the previous layer. It will melt. Now pour another layer of batter of the same thickness as the previous one. Cook under the grill till golden.Keep repeating the layering process till all the batter is used up.The last layer must be ghee. When it is done, turn the Bebinca over on a flat dish and garnish with almond slivers. Cut into slices and serve warm or cool. You may now pat yourself on the back for a job well done! Wasn’t this just a piece of cake? PS. it tastes yummier than heaven with a dollop of ice cream. Just saying.